A little ray of sunshine! 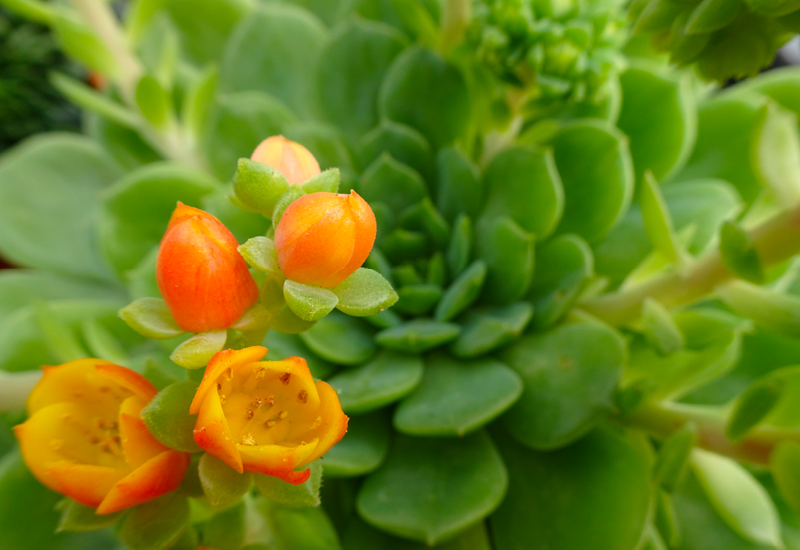 The cheeky orange flowers on Echeveria Dondo have certainly brightened up our day. Flowering during summer, this little succulent will surely bring your home and garden lots of cheer. It’s a small and compact plant with lush grey-green leaves, growing just 15cm high and 30cm wide, and will suit a small-medium decorative pot. Mist very occasionally with water and pop in the sun.